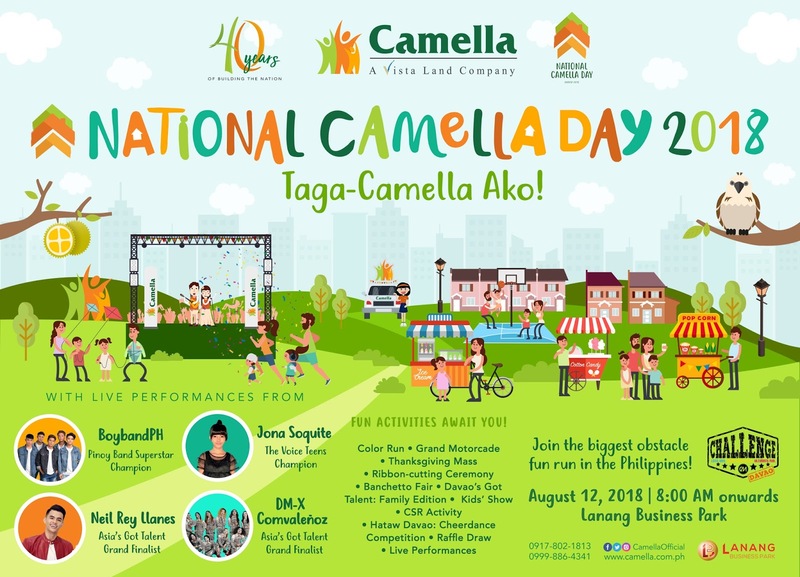 Camella, the largest house and lot developer in the Philippines is celebrating its anniversary all over the Philippines this month of August. 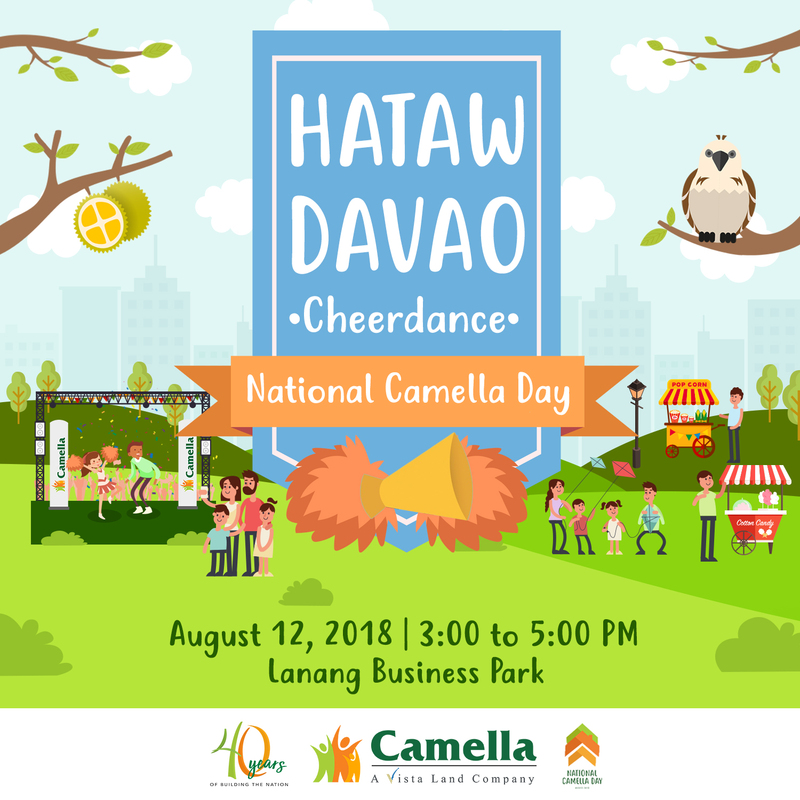 On August 12, Davao will experience a whole day of fun and exciting activities at the National Camella Day happening at SM Lanang Premier and Lanang Business Park. Everyone's invited to the biggest and most exciting Camella event of the year! 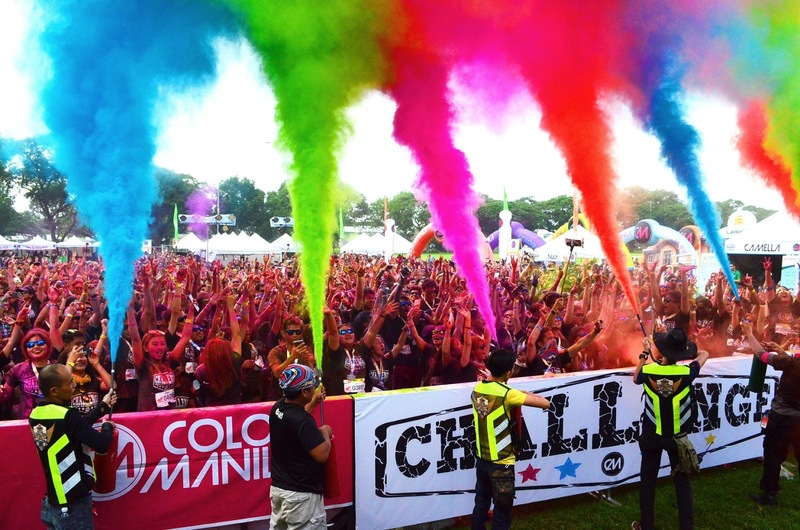 The fun starts at SM Lanang Premier for Color Manila Challenge Run. 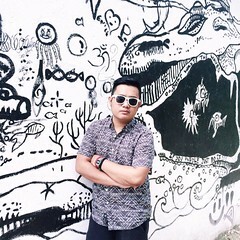 Camella brought the country's number one fun-run organizer to Davao and this time there will be obstacle courses. At Lanang Business Park, watch cheer dance groups from Davao and nearby cities battle it out for HATAW DAVAO: Cheerdance Competition. There will also be a Banchetto Fair for tasty and affordable treats from different food concessionaires. You'll never get hungry at the event. Get up close with Jona Soquite of The Voice Teens, Neil Llanes and DMX Comvaleños of Asia's Got Talent, Social Media Sensation Randolph Valmoria and Boyband PH. 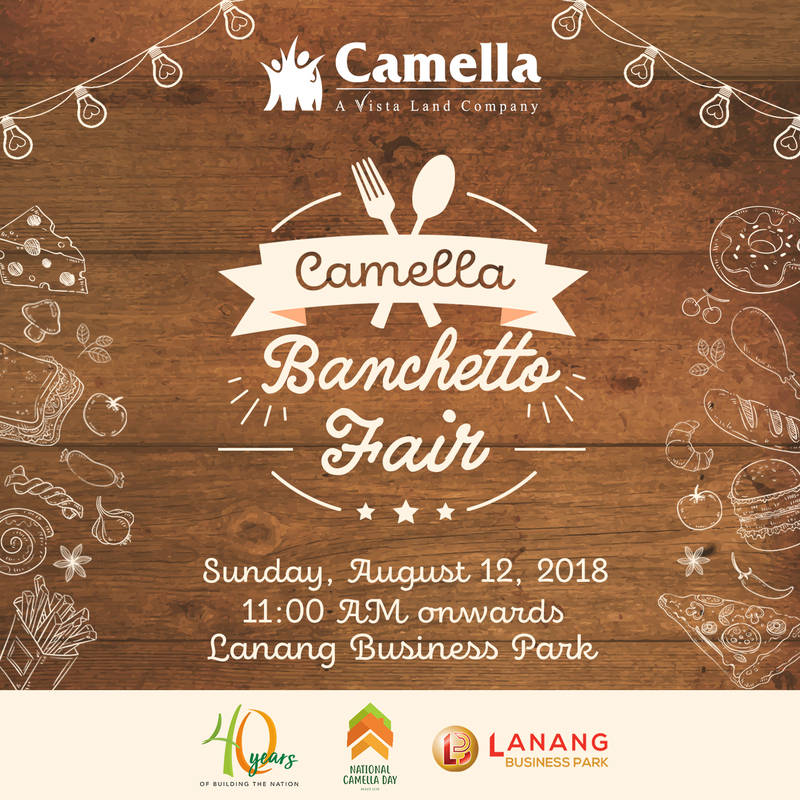 Bring the whole family to Lanang Business Park and enjoy the festivities brought to us by Camella. Admission is FREE!